Soft skills have always been important in business, but in the last few years it has become clear just how much more important they have become to the changing needs of the workplace. Employees today - at all levels - are required to do more with less than they were even ten years ago. Many professional reports demonstrate how much of a gap exists between the soft skills the modern employee possesses and that which their employers require in the modern workplace. Because millennials are so proficient and reliant on technology, many organisations are faced with having to find ways to build their confidence and to teach them the social skills that they are missing out on. Our latest infographic illustrates this in more detail. Soft skills — which are needed to communicate effectively, problem-solve, collaborate and organise — are becoming more important for success as the workplace evolves socially and technologically. The key soft skills your employees need and how they can be acquired through GBS Corporate Training's management and leadership training programmes. If you want your employees to enter the New Year with new or enhanced interpersonal communication skills and be more assertive, then check out the range of Personal Impact and Effectiveness Courses from GBS Corporate Training. Or let GBS help you create your own bespoke management training programme with a blended approach. ‘Soft skills’ can come in many forms, and are defined as a combination of people and social skills, communication and one’s own personal traits such as workplace attitude. Put simply, soft skills are any skills that are not technical or educational in nature but contribute greatly to workplace harmony, productivity, efficiency and team cohesion. Communication, the ability to pull together and to overcome difficulties, listening and empathising have become just as important for employees as their qualifications, technical knowledge and other such hard skills. Businesses need these skills to ensure success, as much as employees need them to ensure they are able to do their jobs. Even in highly technical roles such as IT, professionals with a broad knowledge of their subject are increasingly finding it difficult to get hired because they lack the complementary soft skills. Why are Millennials particularly lacking in soft skills? Millennials generally are described as those born in the 1980s and 1990s. According to the Pew Research Center, millennials surpassed all other generations in 2016 as the largest portion of the workforce. As of 2017, 56 million members of the workforce were born between 1981 and 1996, compared to Generation X, which accounted for about 53 million, and baby boomers, who accounted for about 41 million. In a recent interview, Simon Sinek outlined some of the issues that business leaders and managers are facing when they are managing millennial employees. He argues that because millennials are so proficient and reliant on technology, many of them haven’t properly developed other skills apart from working on digital devices. Some studies have shown that social anxiety with face-to-face interaction increases with the amount of time spent online. 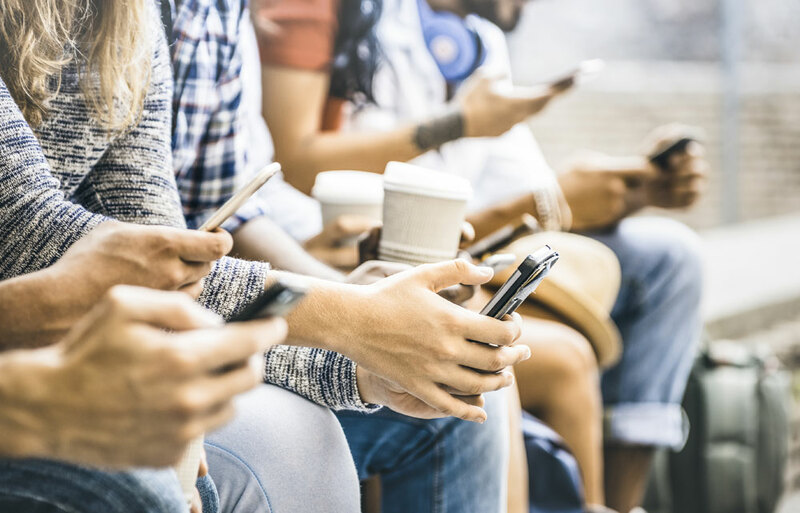 Living in a world where everything is on-demand and with data availability at their finger-tips can mean that seeking instant gratification and only expecting the very best is a problem that many millennials are guilty of. And because this generation has been raised on instant gratification, on-demand everything, and always-connected social media, they don’t realise that the primary means of getting what you wanted in the past was to get really good at something — even if that something was simply being patient. Sometimes it can be hard for them to take a step back and put things into perspective and be patient in their approach to their career. Instilling a sense of patience in their teams and teaching them to focus on the ‘baby steps’ will be key to the success of managers and leaders. Why are soft skills so important for businesses? According to Forbes, a major coalition of businesses, policy experts, trade groups, and academics are demonstrating that soft skills — specifically interpersonal skills, the ability to manage and control your emotions, communication skills, leadership, adaptability, and problem solving — are critical. A new study from Boston College, Harvard University, and the University of Michigan found that soft skills training, like communication and problem-solving, boosts productivity and retention by 12 percent and delivers a 250 percent return on investment based on higher productivity and retention. A recent report by iCIMS Hiring Insights found that 94% of recruiting professionals believe an employee with stronger soft skills has a better chance of being promoted to a leadership position than an employee with more years of experience but weaker soft skills. Failing to show soft skills at a job interview can cost you the job. According to the report, 75% of recruiting professionals have cut an interview short because a candidate didn’t demonstrate the soft skills needed for the position they had applied for. Employers agree that candidates, as well as their current employees, lack soft skills significantly. According to a survey by Adecco Staffing USA, 44 percent of executives said a lack of soft skills was the biggest proficiency gap they saw in the U.S. workforce. Soft skills are an essential part of finding, attracting, and retaining clients. Highly-developed presentation skills, networking abilities, and etiquette awareness can help you win new clients and gain more work from existing clients. Honing your abilities to resolve conflicts, solve problems, and provide excellent customer service can lead to stronger relationships with colleagues, vendors, and other professional contacts. Ultimately, strong soft skills can help you gain confidence — an invaluable trait in the business world. On the other hand, a lack of soft skills can limit your potential, or even be the downfall of your business. A US survey has found miscommunication costs businesses with up to 100 staff an average of US $420,000 per year. Even more staggeringly, in another study, 400 businesses with at least 100,000 employees each claimed that inadequate communication cost an average of US $62.4 million per company per year. By developing strong leadership, teamwork, and communication abilities, you can run projects more smoothly, deliver results that please everyone, and even positively influence your personal life by improving how you interact with others. What are the key soft skills needed in business today? Many people are adequate or even exemplary with some skills yet struggle with others. For instance, you may have excellent communication and teamwork abilities but struggle with time management or struggle under pressure. It’s not uncommon to either underestimate the importance of soft skills or overestimate your own proficiency. The good news is that soft skills can be learnt. GBS Corporate Training specialise in coaching and training in soft skills to help create strong employees, teams, leaders and organisations. Well-rounded, highly-developed soft skills can be invaluable to business success. While soft skills can at times be more difficult to develop than hard skills they are arguably equally important in running a successful business. To be successful in business it is important to be viewed by others as credible and authentic. Where there is credibility, it is so much easier to be able to influence others, achieve results, and deliver messages that ‘get through’ to the audience, who will be inclined to want to listen to you and what you have to say. GBS provide a range of corporate training solutions which include a suite of Personal Impact and Effectiveness courses that can provide your employees with training in the soft skills that they need to perform and for your business to succeed. In today’s business culture, the ability to communicate with customers and colleagues at all levels is becoming increasingly important to individual success. Not only do you have to be effective at your job, but you also have to be effective at interacting with a wide range of other people. Communication is the soft skill that binds teams together. Without communication, the team lacks efficiency, harmony and the ability to pull together in a crisis. Encouraging openness at all levels can help identify problems as they arise and lead to faster action. So much energy and time is wasted at work by people trying to clarify ambiguous messages, or unclear instructions, or trying to decipher long and waffling emails. Additionally, so few people listen with the intent to hear, and this creates many challenges, not only in missing vital information, but also in putting barriers in the way of developing quality relationships. In the GBS Interpersonal Skills Communication course you will increase self-awareness about the impact your own communication style has on others and will learn techniques to adapt your style to suit your audience. Assertiveness is a key factor in encouraging straightforward communication and reducing misunderstanding and the danger of unproductive conflict. The assertive person will achieve their own aims whilst, at the same time, taking full account of the feelings of others. In Assertiveness at Work from GBS Corporate Training, we will help those employees who want to improve their overall communication style, and increase their personal credibility and gravitas, both key attributes in order to be able to successfully influence others. All day every day each of us have to influence and persuade a myriad of different people to do a variety of different things: transfer to another team, fulfil a new job role for us, complete a piece of work, approach a task in a different way, or maybe buy a product or service. The list is endless. Being viewed as a successful influencer is a critical skill for anyone in management, and is essential for anyone who ever has to sell anything to anyone! Our Influencing and Persuading training has been designed to help anyone who ever has to influence, understand the psychology of successful influencing and equip them with the tools, techniques and approaches that will significantly increase their ability to persuade and influence anyone, and sell concepts, ideas, and products, both internally and to external clients and stakeholders. Everyone brings differing levels of soft skills and emotional intelligence to the workplace. Just as technical abilities are important in the workforce, soft skill training is also a necessary investment to make, and businesses must recognise the need to do this, particularly for their millennial employees.